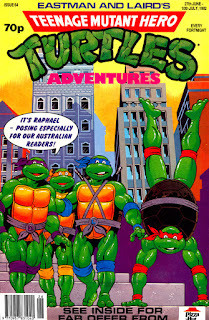 *Reprint of Archie's TMNT Adventures #33 with a new cover by Fleetway in-house artist. *This issue was preceded by TMHT Adventures #63. The series continues in TMHT Adventures #65. *The last issue to contain an Archie reprint was TMHT Adventures #60. 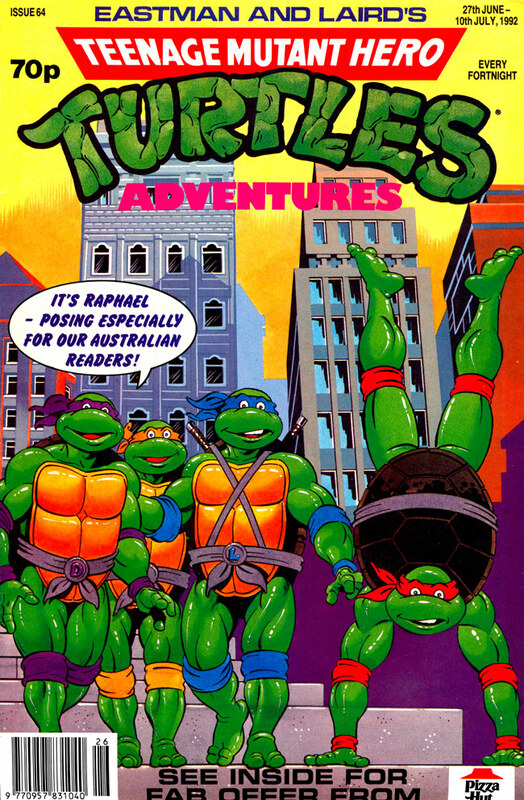 The next issue to contain an Archie reprint will be TMHT Adventures #68.